Sticks and stones may break your bones, but gee they’re fun to play with! The sight of a child playing with sticks and stones is usually enough to elicit some kind of freak-out response from most parents and with good reason; sticks and stones can be dangerous right? But really, that can be said about most children’s toys and environments. Have you ever been hit by a flying Matchbox car? They can pack a real punch and leave a nasty bruise! But actually by stopping your children playing with such “dangerous” items it could lead to more dangerous behaviours in the future. Allowing children to engage in and learn the benefits and consequences of risky play is an essential part of their development. Sure there are going to be bumps, bruises, scrapes and tears along the way, but every accident or deliberate hit will have a powerful learning outcome for those involved Consequence is a great educator. Apart from the emotional and mental rewards from risky play children receive, they can also benefit physically. 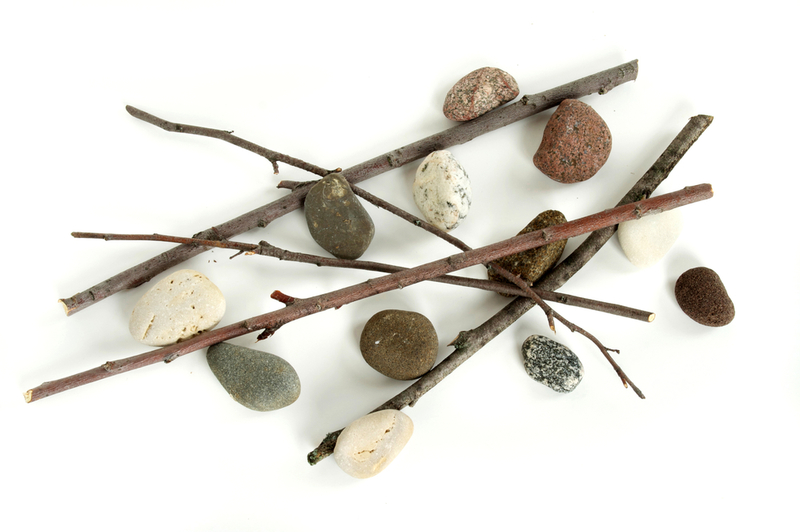 One of the benefits of playing with sticks, stones, rocks and logs is the amount of variety of each object. They may be rough, smooth, light, heavy, small and even impossible to actually move! All this variety provides children with amazing opportunities for development and can go a long way to improve cognitive abilities, spatial awareness, physical conditioning and coordination. Far beyond what they’d be getting from plastic uniformed shaped and weighted objects. If safety is a concern, setting a couple of basic guidelines is all you really need. By having a designated rock and stick throwing area you can minimise the risk of stray projectiles, educating the children to stand side by side and not in front of each other is a great idea and making sure the range is clear before anyone can run out and pick up their item is also advised. Hopefully, as a parent/educator you can see the huge potential of kids learning from sticks and stones and are considering or even encouraging it because they really are fun to play with!